Happy Halloween everyone! Here we are on Day three of our Pumpkin Preview. 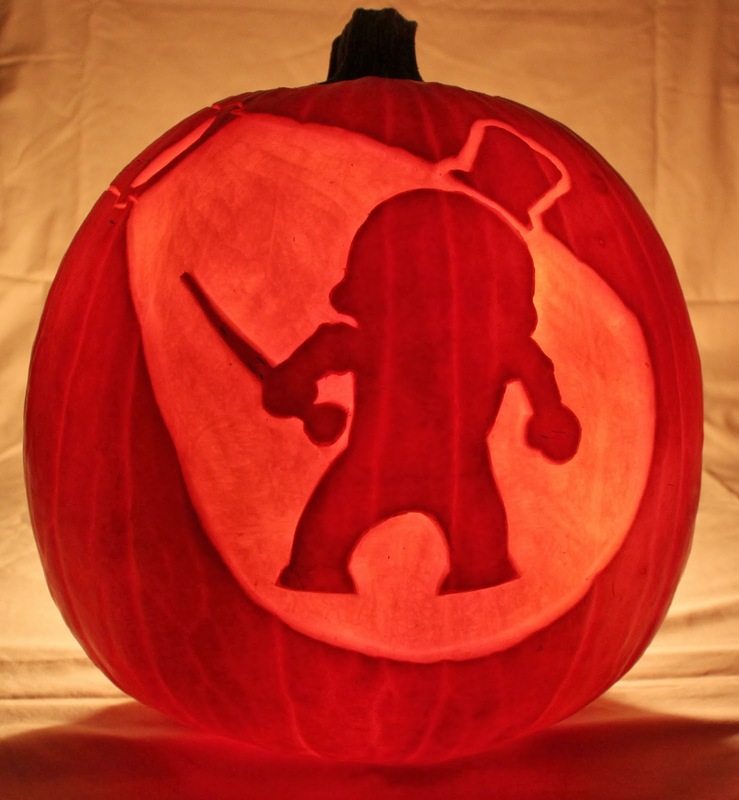 Today we pull back the curtain to reveal our Foul Play pumpkin. We first fell for Mediatonic's beat-em-up at PAX. Foul Play is a unique take on the genre with a great story to boot. Foul play charmed us with it's vaudevillian aesthetic, crisp wit and responsive controls. The game takes place on stage. Dashforth, legendary demon hunter, has put on biographical play. Detailing he and his companion Mr. Scampwick's adventures across the globe, you fight actors dressed as mummies, werewolves, vampires and more. It's hilarious to watch the events unfold onstage, with the occasional "monster" breaking character, or a stage hand making an accidental appearance onstage. Your "health" is replaced by a meter showing the satisfaction of the audience. As you perform combos, complete increasingly difficult challenges and defeat enemies, the meter fills. It's a mechanic very similar to that of Rock Band or Guitar Hero. You can even engage a sort of overdrive to boost the meter and your combo multiplier. The true gem of Foul play is it's co-op challenges and abilities. Many of the challenges (especially later in the game) encourage you to communicate and coordinate your actions. Each player is able to accomplish the challenges individually, but they are much easier to handle when working as a team. Foul play is available for PC, Xbox Live, and most recently Mac and Linux. It's a great game with a genuinely interesting and surprising story, lots of very funny moments, and some of the most responsive controls I've seen in recent years.